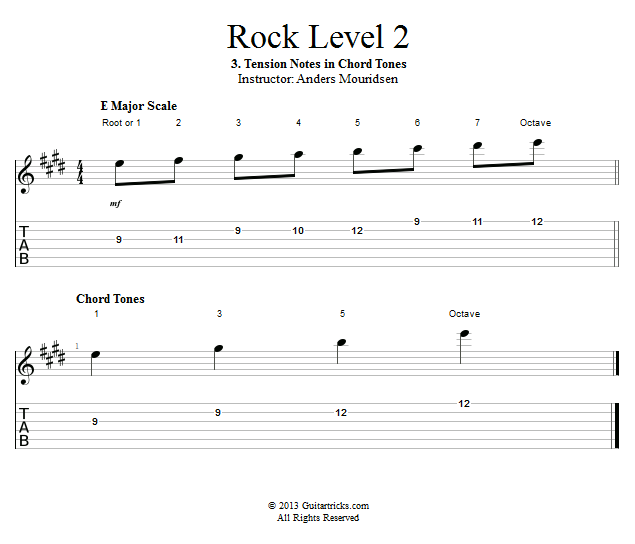 In this lesson I'm going to introduce you to the concept of "chord tones" and "tension notes". There are 3 basic chord tones hidden within your major scale, and the rest of the notes are tension notes. When you become aware of this concept, it's a really powerful tool that you can use in your lead playing.